Climate Change Impacts on Agriculture in the Mekong Region…how can agriculture adapt and survive? 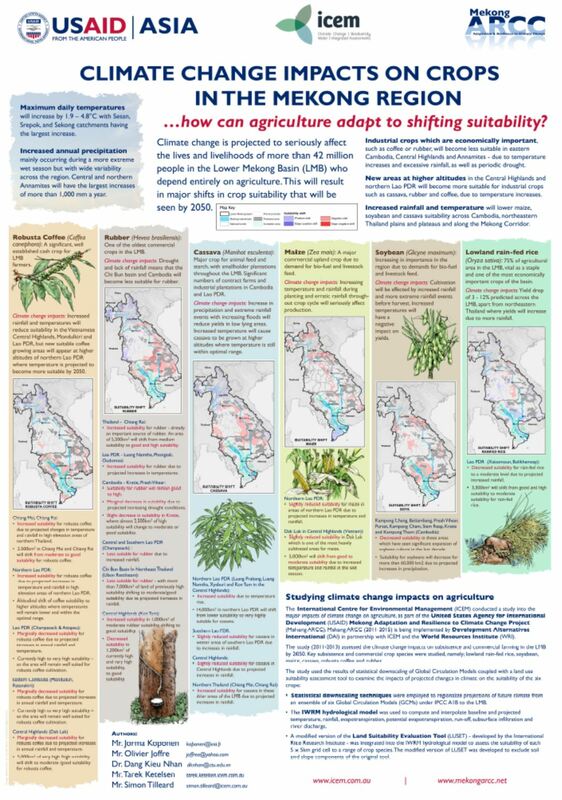 This informational poster was developed as a knowledge product to showcase the findings from the USAID Mekong Adaptation and Resilience to Climate Change (Mekong ARCC) program. ICEM managed the climate change impacts on agriculture study as part of this program. The poster demonstrates that adaptation in agriculture is urgently needed in the Mekong Region. The message of the poster is that climate change is projected to seriously affect the lives and livelihoods of more than 42 million people in the Lower Mekong Basin (LMB) who depend entirely on agriculture. Changes to the Mekong monsoon could cause floods, droughts and increasingly violent storms, bringing huge challenges to the agricultural sector. It is crucial that high quality research is undertaken into climate change impacts on agriculture, so that LMB counties can understand and prepare for these changes. Effective adaptation to climate change will help to ensure food security and economic sustainability in the region. 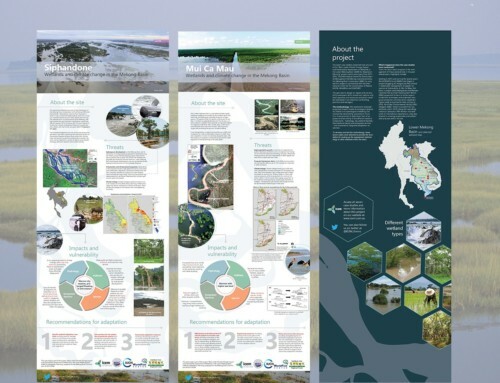 The poster was showcased at the Mekong Environment Symposium 2013 and also at subsequent workshops and meetings of the USAID Mekong ARCC.